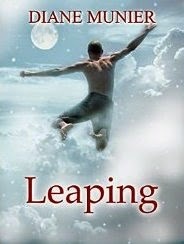 Leaping is a beautifully written story about several people who experience a tragedy, go their separate ways, then come together later and heal because they learn from their experiences, become better people, and make the world a better place. Instead of being miserable for the rest of their lives, they are able to move forward and overcome the sadness from a tragedy. The writing is descriptive and poetic, and the story is about redemption and forgiveness. A difficult road for the characters, but the Happily Ever After leaves the reader with a happy sigh.